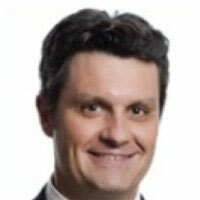 Pierre Trevet is a pioneer and entrepreneur in the field of environmental finance and sustainability investing, totaling 20+ years experience in financial services and IT industry. He has co-engineered numerous investment approaches to address sustainability problems, including the algorithms for world’s first global equity fund based on eco-efficiency principles (Storebrand EcoValue Fund, 1995), eco-enhanced equity funds (Credit Agricole Green Planet Fund, 2004), and world’s first carbon bond index (JP Morgan Carbon Beta Bond Index, 2008). Pierre Trevet is the Founder and CEO of HELIOS Exchange which he started in 2012 with the mission to use information technology to create the needed investor confidence to catalyze energy efficiency financing. Prior to that Pierre was the Head of Sustainability Finance for over 3 years at C3 Energy. At C3, Pierre has been instrumental in developing C3’s initial product roadmap and product strategy. Prior to C3, he was Managing Director at Innovest Strategic Value Advisors for 10 years, heading the European activities and the carbon finance practice. Prior to that, he was CEO and Founder of Ecolistic, a corporate environmental management and accounting software. Previously, he has worked in Norway as an Environmental Finance Analyst at Storebrand, as an Energy and Environmental Management Consultant at Statkraft Engineering and held diverse roles as Project Engineer at Doris Engineering. Mr. Trevet holds a MSc (1990) in Mechanical & Industrial Engineering from ParisTech, Ecole Nationale Supérieure d’Arts et Métiers, and an MSc (1995) (Hon.) in Energy & Environment Management from the Norwegian School of Management. Former Executive Director at $1B Wall Street firm. Former President and co-Founder of Innovest. 35 years experience in investment banking, real estate and sustainability. Hewson Baltzell has a wide variety of experience in real estate finance and development as a commercial and investment banker, covering most property types – office, retail, industrial, residential multi-family, single-family, hotels and resorts. In the Principle Transactions Group (the merchant bank) of Lehman Brothers, he was involved with risk analysis, underwriting, financing and securitization of real estate debt and equity. At Chase Manhattan, his responsibilities included restructuring and securitizing the bank’s multi-billion dollar real estate portfolio, foreclosing on properties, then managing, improving and selling those properties. Previously, Baltzell managed debt and equity portfolios for a private, foreign-owned investment company and worked in Mellon Bank’s international division. Mr. Baltzell was President and co-founder Innovest Strategic Value Advisors, an internationally recognized investment research firm that originated the rating of Environmental, Social and Governance performance. He and his partners sold the company to RiskMetrics in 2009, with the plan consolidate the field by acquiring other competitors. Six months later, they bought KLD Research & Analytics, and he served as Head of Product Development, working to integrate all legacy companies with a new research platform, client platform, and unified research. MSCI, Inc. acquired RiskMetrics in 2010, and Baltzell stayed on as Executive Director. MSCI's ESG Research Business, with over 500 clients and 150 staff, is now the leader in providing ESG research and ratings of equities, bonds and other financial instruments to institutional investors. The business evaluates 6,000 publicly-held companies, and over 200,000 private, public and sovereign bonds from an ESG perspective. Mr. Baltzell is co-chair of the Energy Efficiency Financing Group of the Alliance to Save Energy. 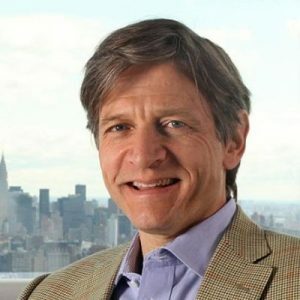 He is on the board of the Global Impact Investing Network, a not-for-profit supported by the Rockefeller Foundation and the Omidyar Network, and is on the Standards Advisory Committee of the related Global Impact Investing Rating System. He is also on the board of Local Food Systems, a supply chain management company promoting the growth of the local and sustainable food market. Mr. Baltzell holds an MBA in Finance from Wharton and a BA in International Relations from the University of Pennsylvania. He is also a frequent conference speaker and lecturer at institutions such as Wharton and Columbia. 30+ years experience in operations, project planning and management, business development, financial services and risk management. Former executive at Northrop, Bechtel, DynCorp International, and Marsh & McLennan. Mr. Morgan is a Founder and Managing Partner of Professional Infrastructure Consulting Services (“PICS”), a diverse international consulting firm specializing in comprehensive client and partner support for global contracts, infrastructure projects, acquisitions and joint ventures. Mr. Morgan has over 30 years of domestic and international experience in operations, project planning and management, business development, financial services and risk management. His career has spanned across multiple industries and continents, with successful senior management and consulting roles in major corporations such as Northrop, Bechtel, DynCorp International, and Marsh & McLennan. 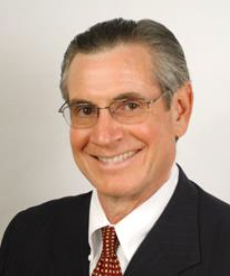 Mr. Morgan has also founded and managed other successful businesses, including Global Risk Management Strategies, Inc., a global development consulting, risk assessment, software and insurance brokerage firm. GRMS provided program management as an integrated development planning/risk management/project finance platform to major infrastructure projects worldwide. Mr. Morgan holds a BA from Arizona State University.